These are just a few of the styles on offer at Junction Craft Brewing (@junctioncraft), which is where RunTOBeer is headed, Sunday. 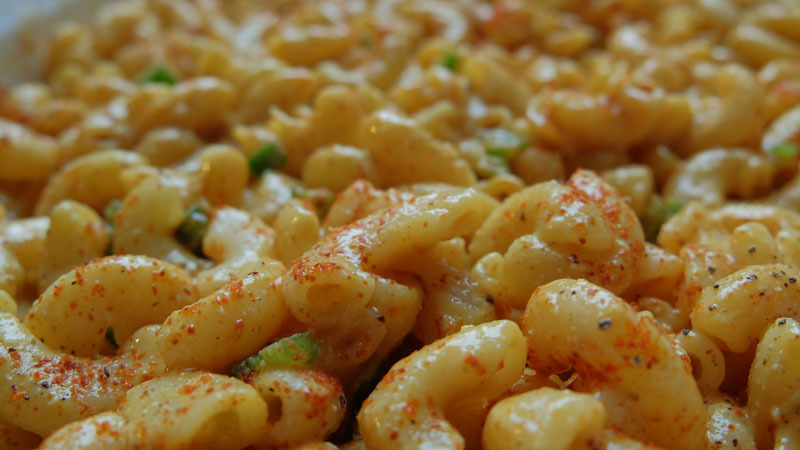 If you’ve never been, Junction has a bunch of great taps serving up a wide variety of styles. You’re going to love it. So far we have nearly 90 people indicating they’re joining us (and a couple dozen maybes). There’s still plenty of room on the sidewalks for more! 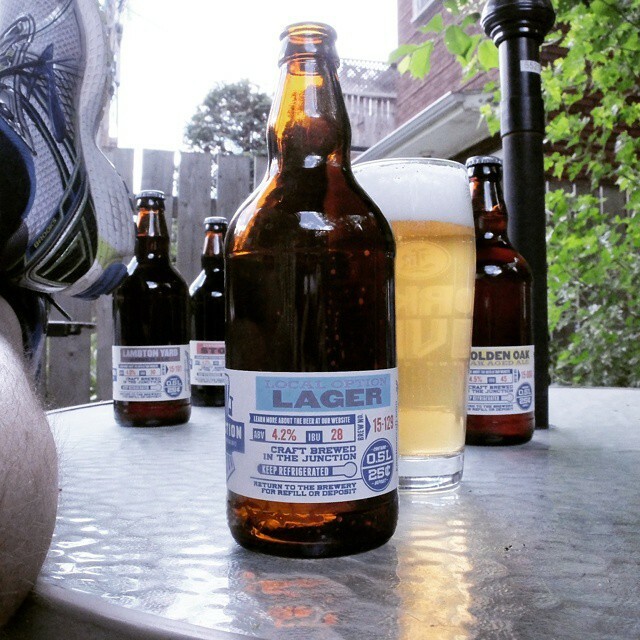 Why: Because who doesn’t like drinking beer after a run? 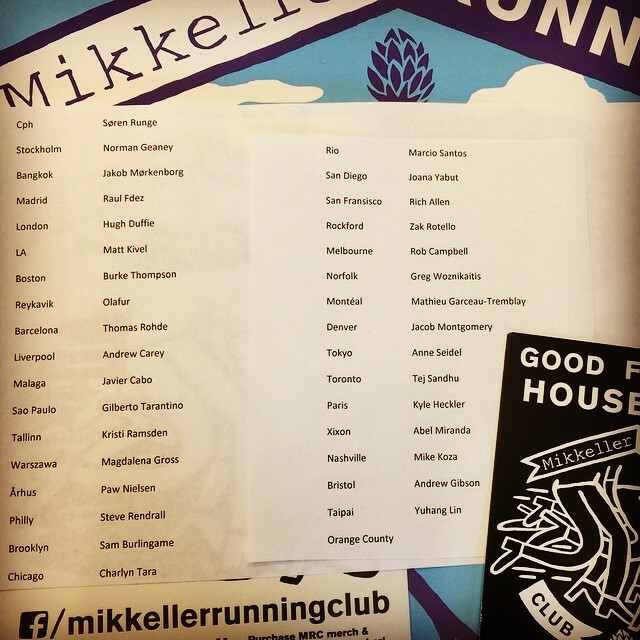 Mikkeller Running Club (MRC) is coming to Toronto! MRC was established in 2014 by legendary brewer Mikkel Borg Bjergsø and MRC President Søren Runge. The club has taken off around the world with chapters in Copenhagen, Paris, London, Chicago, Philadelphia, Brooklyn, Boston, Norfolk, San Francisco, Montreal, Barcelona, Sao Paolo, Aarhus, and Reykjavik with new clubs opening every month. 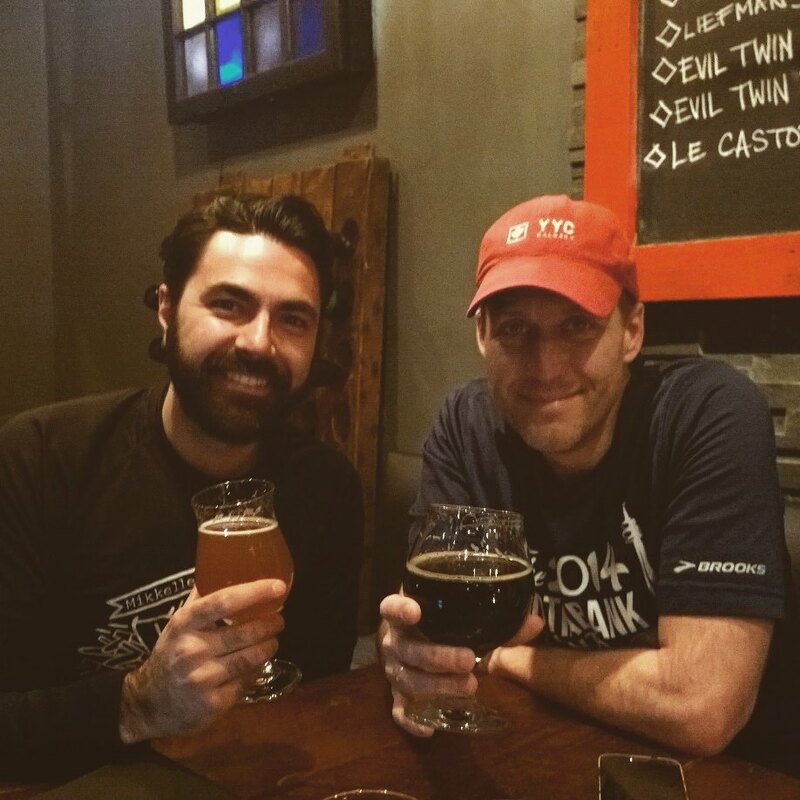 MRC’s newest chapter in Toronto will be spearheaded by Tej Sandhu and Dan Grant; the same two behind Toronto’s RunTOBeer crew. The opportunity to bring MRC to Toronto came while Tej was travelling to London, UK in January where he ran with the local MRC chapter on their inaugural run. MRC Toronto will be based out of Bier Markt King West. 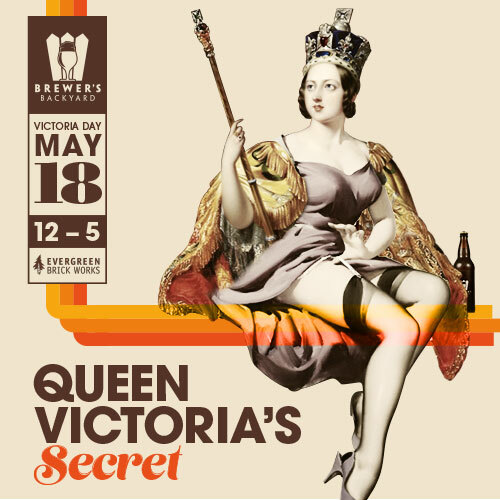 After the initial runs, Bier Markt King West will be offering Mikkeller products currently available in the LCBO, and discussions have been started to bring exclusive Mikkeller product in for club members only. 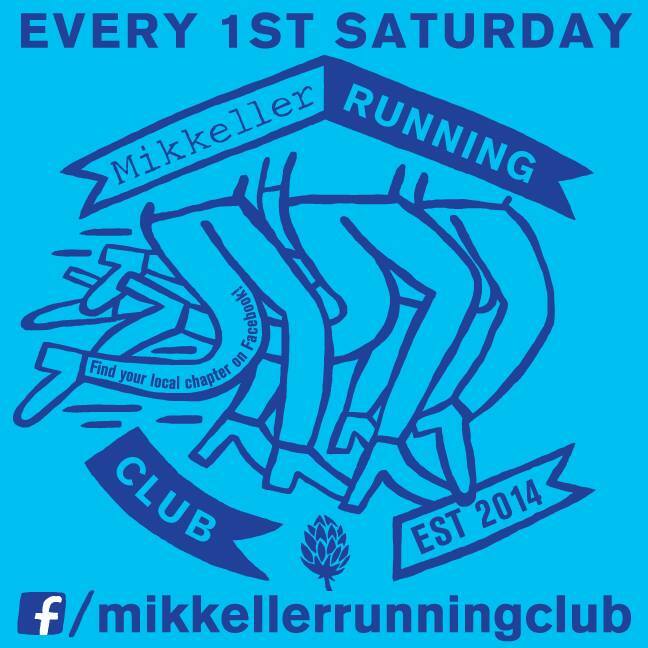 Speed is not the main goal for Mikkeller Running Club. Having fun in a great social environment is our top priority. Every first Saturday of the month MRC will meet for a training session starting and ending at our clubhouse. 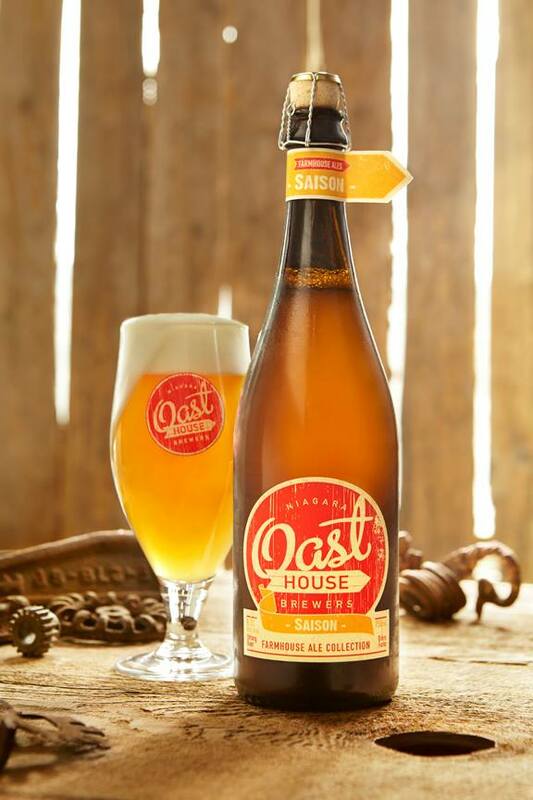 After running we share a couple of beers, with the first round on the house for members only! 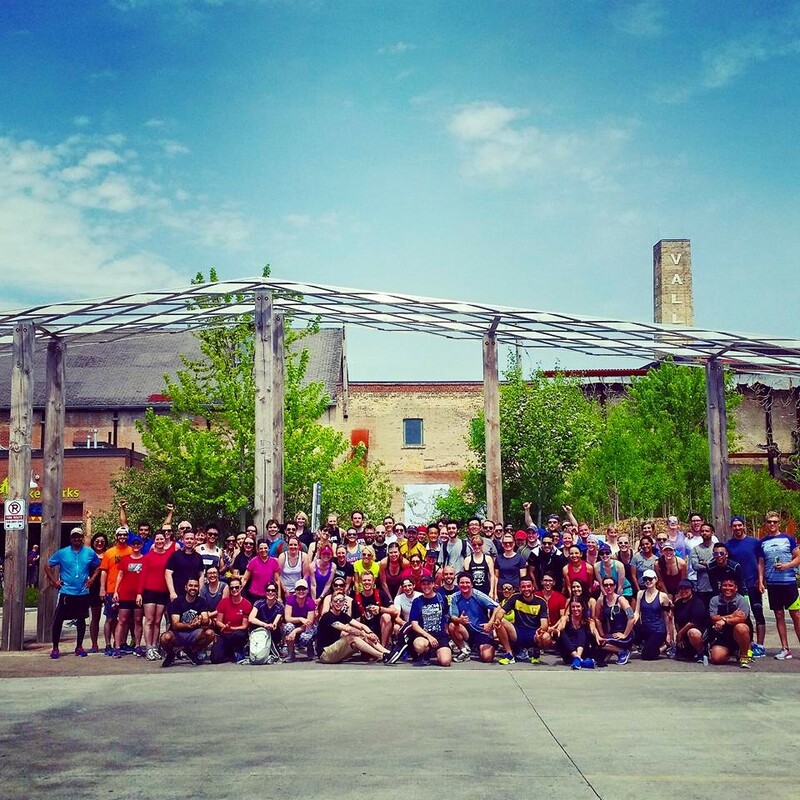 The inaugural run takes place at 12:00pm on June 6 at Bier Markt King West! People who know things recommend you get protein in your system shortly after finishing a long run. 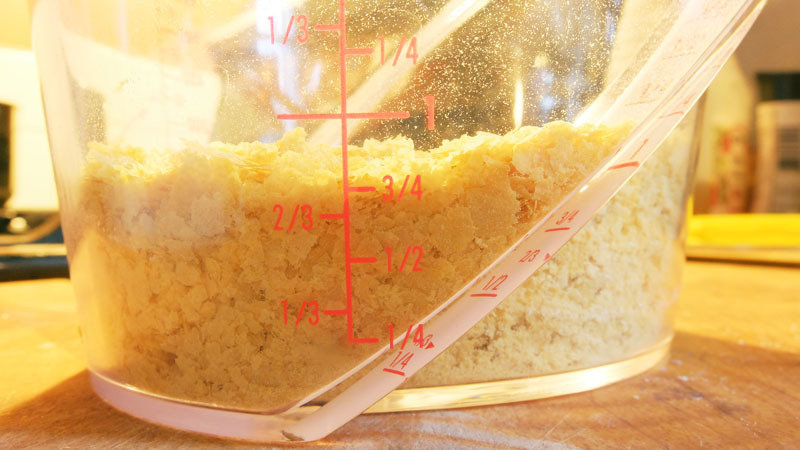 They say it helps rebuild the muscles you’ve just torn down, which speeds up your recovery. 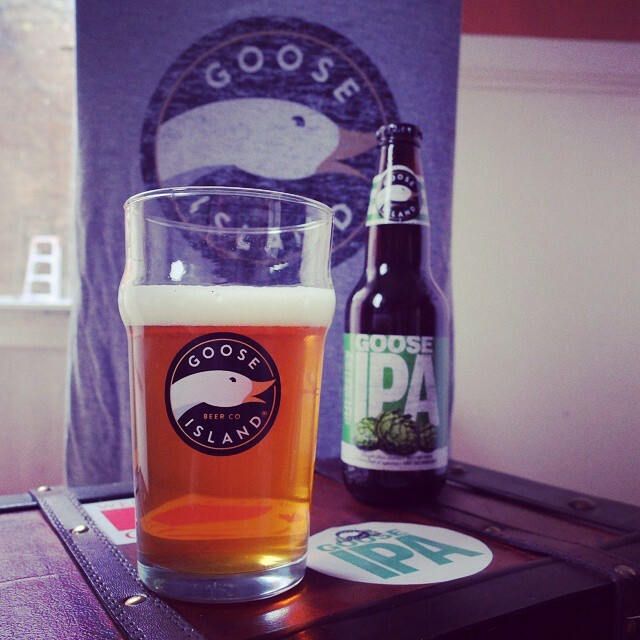 Beer not only has protein, but also chromium (important for distance runners and hard to come by in a non-supplement form), sodium, magnesium, calcium and carbs. This makes it a far better post-workout drink than water. 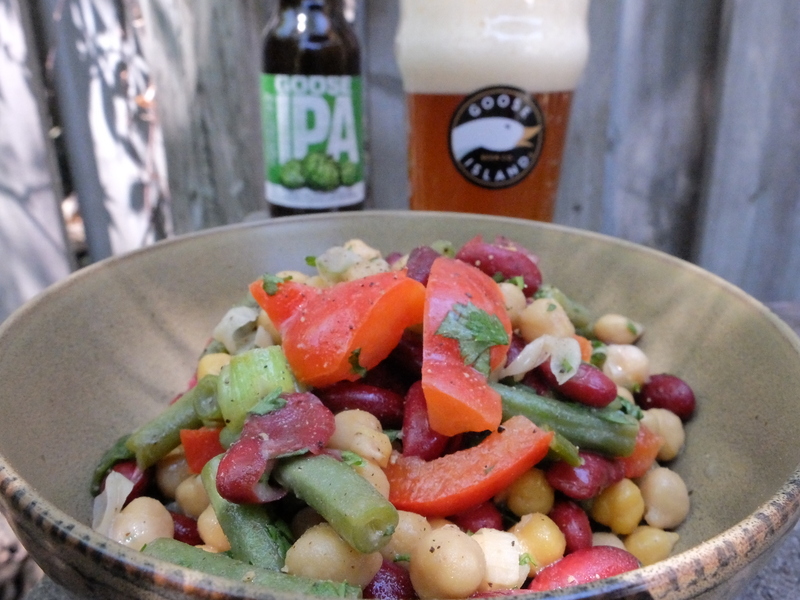 The nice thing about Goose Island’s Goose IPA is it also pairs brilliantly with this protein-, iron- and fibre-rich, three bean salad. 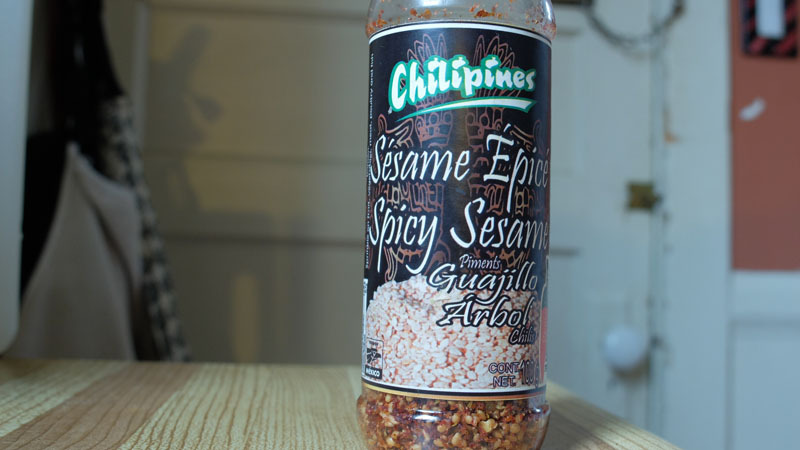 Each has citrus, pepper and fresh, earthy characteristics. 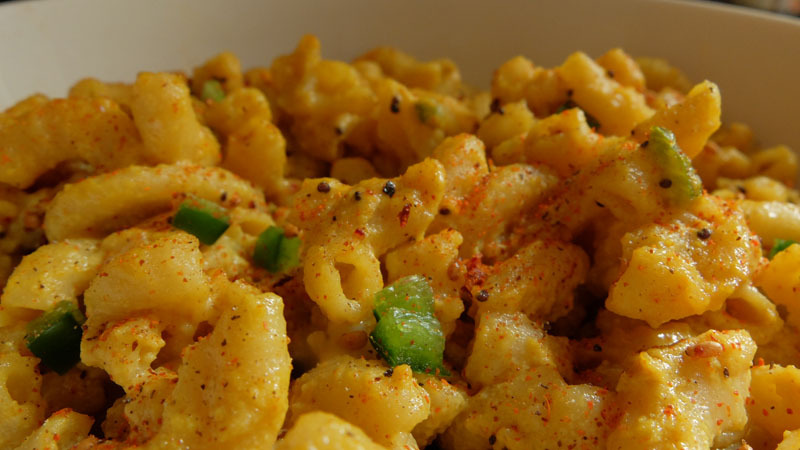 Together, it’s an easy, delicious combo that just feels right after a satisfying workout. 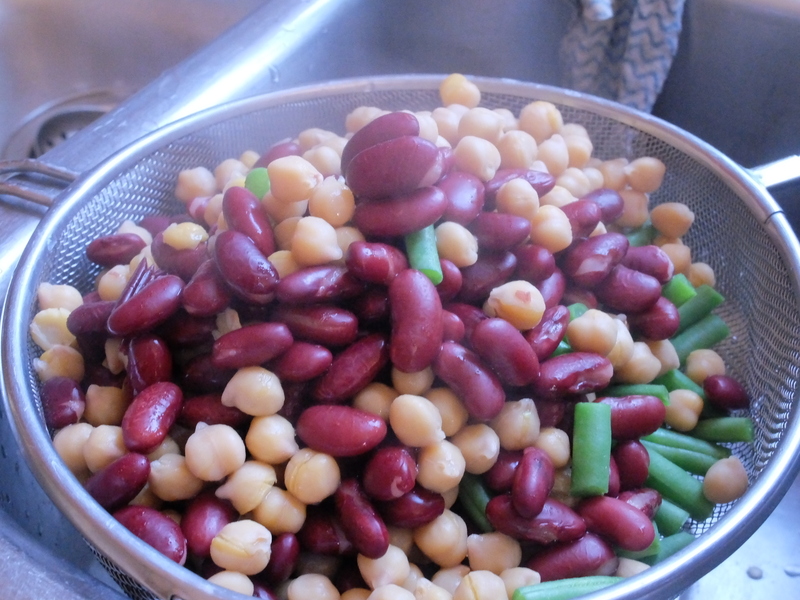 Bean salad stays good in the fridge for a few days, so make it in advance. After toweling the sweat out of your eyes and uploading your run stats, fill a bowl, crack open the beer and just feel great for a while. My version is ever-so-slightly adapted from OhSheGlows’ Speedy Three Bean Salad. 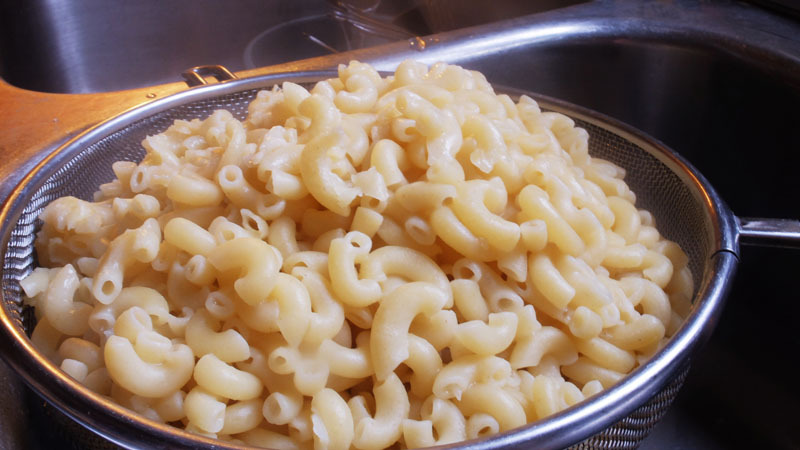 About 4 hours before eating. Add green beans to a pot of simmering water and leave them until they’re no longer crisp — likely about 10 minutes (if you like your chickpeas and kidney beans a bit mushy, you can do the same for them). 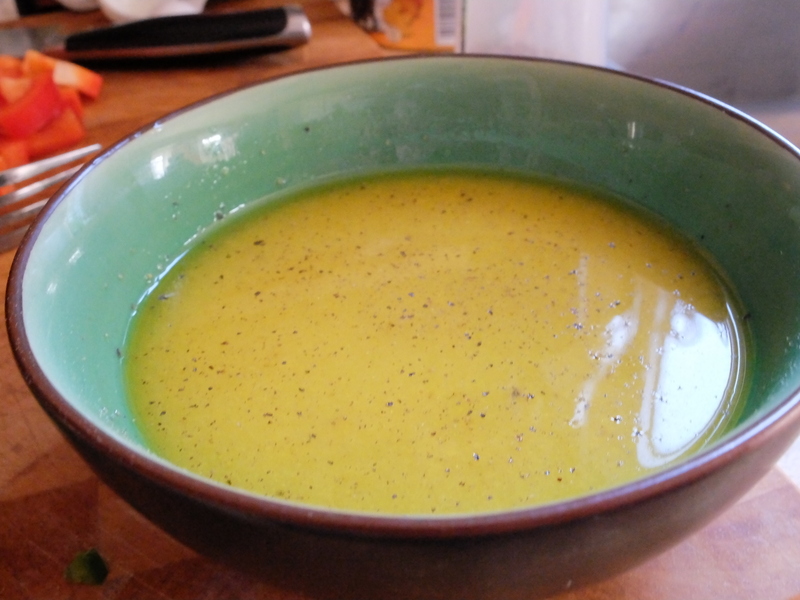 Mix all the Stage 2 ingredients (lemon juice, olive oil, vinegar, maple syrup, mustard, pepper) in a bowl until it has a vinegrette-like consistency. When the beans are to your liking, strain and put them in a big bowl. 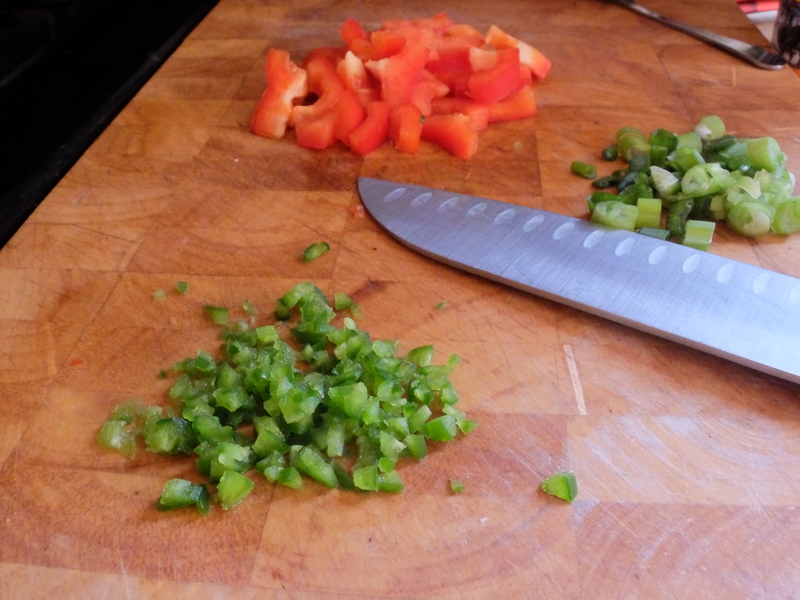 Add Stage 3 ingredients (bell pepper, jalapeño, green onion) – and optional ingredients, if you so desire – to the beans. 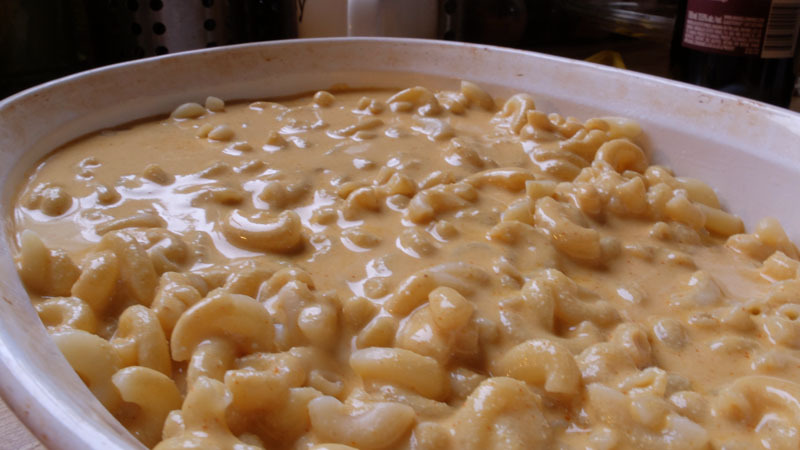 Cover, and let sit a couple hours in the fridge. Stir again and throw the covered salad back in the fridge for a couple more hours. 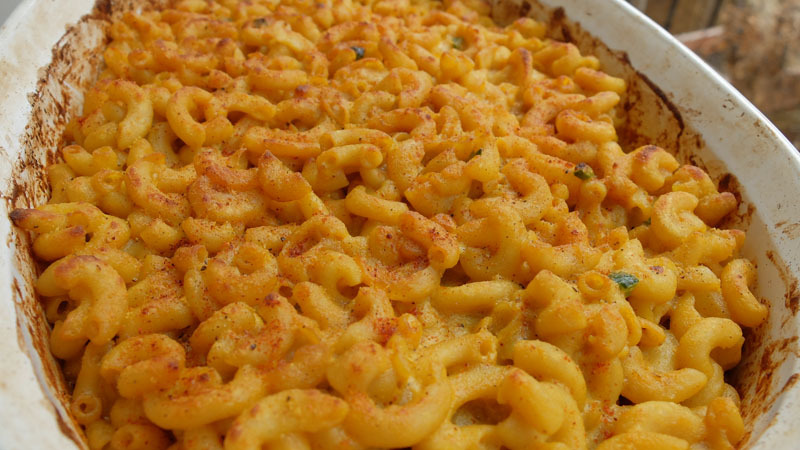 HINT: It’s best (but not necessary) to leave the parsley until you’re ready to eat. 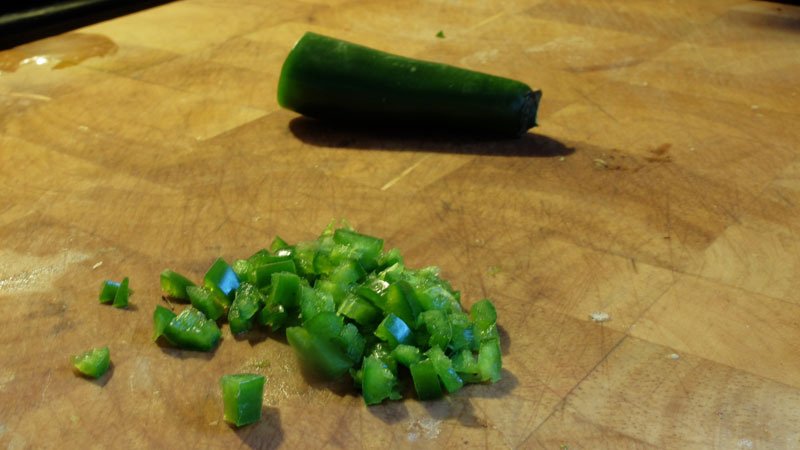 I just chop as much as I need when I dish out my individual servings. Special Notes: This beer uses 2- and 6-row malt, and has won a tonne of awards in the English style IPA category, in major competitions.